Gas prices in New England continue to be more expensive than year ago. With the unofficial kick-off to summer just weeks away, prices are expected to continue to increase. At $2.86, the national gas price average is 50 cents more expensive than a year ago. Vermont’s average current price is $2.86 per gallon, which is 3 cents higher than one week ago, 20 cents higher than one month ago and 46 cents higher than one year ago. New Hampshire’s average current price is $2.78 per gallon, which is 3 cents higher than one week ago. 30 cents higher than one month ago and 48 cents higher than one year ago. Maine’s current price is $2.85 per gallon, which is 2 cents higher than one week ago, 18 cents higher than month ago, and 42 cents higher than one year ago. Oil prices ticked up higher this week following President Trump’s decision to decline to recertify the Iran nuclear deal and impose new sanctions on the country. Iranian Foreign Minister Mohammad Javad Zarif responded that the country is unwilling to renegotiate the deal it set with the U.S. in 2015 under the Obama Administration. The decision to not recertify the deal may increase tensions in the volatile region, leading to global supply disruptions. 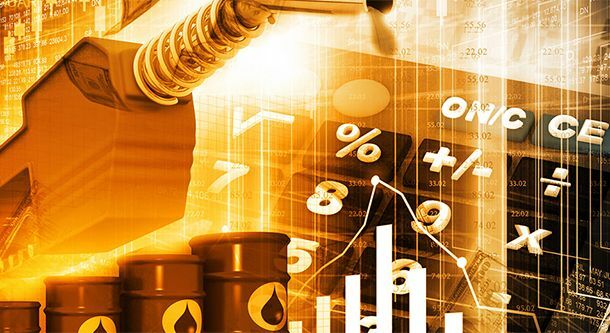 Crude prices are likely to continue climbing as the May 12 deadline for the recertifying draws near and it becomes increasingly likely that the U.S. will decline to renew it. Additionally, EIA’s weekly petroleum status report noted that U.S. crude production hit another record high at 10.62 million b/d. The growth in production occurred alongside growth in crude inventories, which grew by 6.2 million bbl last week. At 436 million bbl, inventories are nearly 92 million bbl lower than they were at this time last year. Domestic crude production will likely see continued growth through 2018 – supported by a steady increase in active oil rigs. Baker Hughes, Inc. reported that last week, the U.S. added nine rigs, placing the total at 834. The total rig count is now 131 more than the figure at the same time last year.